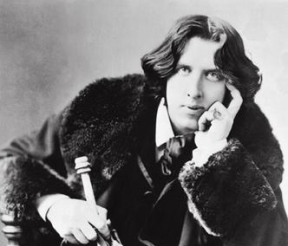 A Letterman farewell from Oscar Wilde | Thinking is the enemy. As many of you are already aware, Late Night’s David Letterman hosted his final show last week. As almost none of you are aware, my Mini Book Club (there are two of us) just finished up Oscar Wilde’s The Picture of Dorian Gray. I see some serendipity in this because Letterman and Wilde are both masters of the snarky line. Of course, Wilde was doing snark before “snark” was even a thing. He probably called it something with more than one syllable, or more likely an entire paragraph. This entry was posted in Books and tagged david letterman, oscar wilde, quotations, snark, the late show, the picture of dorian gray, top ten list. Bookmark the permalink. Pingback: Mini book club | Thinking is the enemy.